The Head office of the Botanical Society of South Africa is located in Kirstenbosch National Botanical Garden, below the Marquee Lawn at Gate 2. The Botanical Society was founded in 1913 at the same time as Kirstenbosch and the National Botanic Gardens. In fact, the land for the Garden was granted on condition that the organisation be formed, to support the development of the National Botanic Garden. The Botanical Society has faithfully fulfilled this obligation, funding numerous developments and projects at Kirstenbosch over the years. It is true to say, Kirstenbosch would not be here without the Botanical Society. The Botanical Society also extends its support to the other National Botanical Gardens around the country. 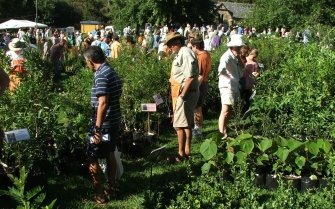 One of the key fund-raising events of the Botanical Society is the annual Garden Fair and Plant Sale at Kirstenbosch, which is co-ordinated and staffed largely by Botanical Society volunteers. The Garden Fair is held every March, and offers a huge range of indigenous plants, as well as advice and ideas on how to grow them. Members of the Botanical Society also do volunteering work at Kirstenbosch. Many volunteers help propagate and grow the plants sold at the annual Garden Fair. Volunteer guides also take many of the free Garden Walks that leave from the Visitors’ Centre Information Desk at 10h00 on Monday to Saturday. The Botanical Society publishes a quarterly journal, Veld & Flora, which carries a wide variety of articles on the National Botanical Gardens, as well as indigenous flora, gardening, natural history and conservation. It is sent free to all members. 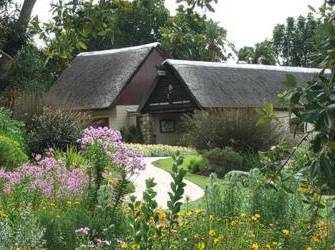 The Botanical Society runs two bookshops at Kirstenbosch, one at the Visitors’ Centre and a smaller one at the Centre for Home Gardening. The shops carry books on flora, gardening, gardens, fauna, natural history, as well as educational children’s books, cards and stationery. Their books are also for sale by mail order via the Botanical Society website. Botanical Society members enjoy free entry to all National Botanical Gardens and various other benefits. To join, or find out more about the Botanical Society, visit their website at www.botanicalsociety.org.za.